Anyway, Berto and I decided to eat lunch first. As we were traversing Makati Ave. we noticed this restaurant that we've never eaten in before, at least not in this branch. We decided we'd try The Original Savory Restaurant. 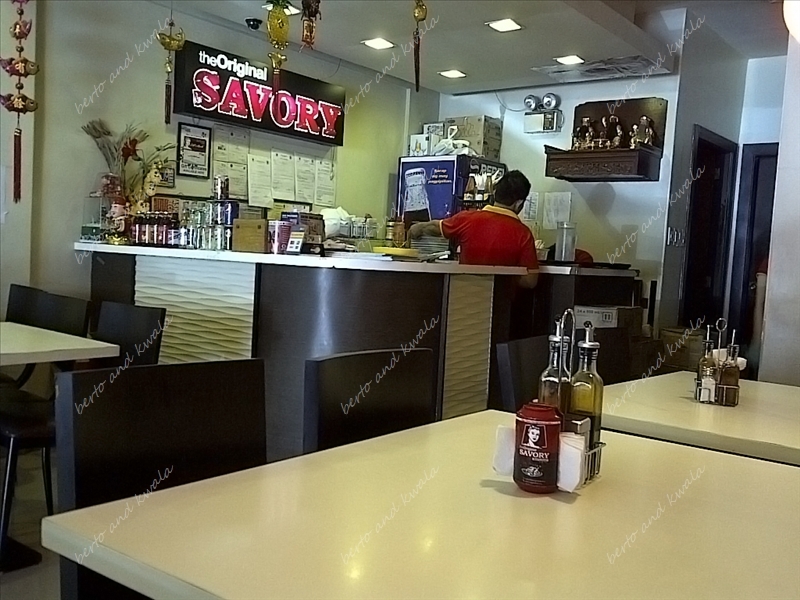 It was lunch time on a Sunday, in the Makati business district, we weren't surprised to discover the place empty save for a couple quietly eating in one corner. The place was small but clean. Thankfully, the air conditioning was on full-blast, offering our sun-dried bodies some refuge. 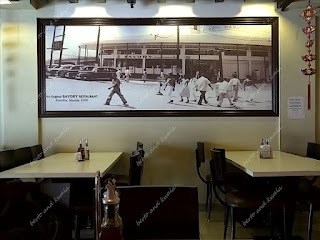 The wall in front of our table displayed a big picture of how the Savory Restaurant looked in Escolta, Manila circa 1950. Berto and I mused at how we'd be staring at people who are most probably dead by now as we eat. 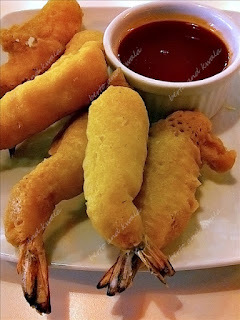 The menu is varied and you may order ala carte or set meals. They have Savor Me Meals which are good for 1 (P199 only) and good for 2 (P375 only). Berto and I chose Meal D5 composed of ½ Chicken (a must-try, of course! 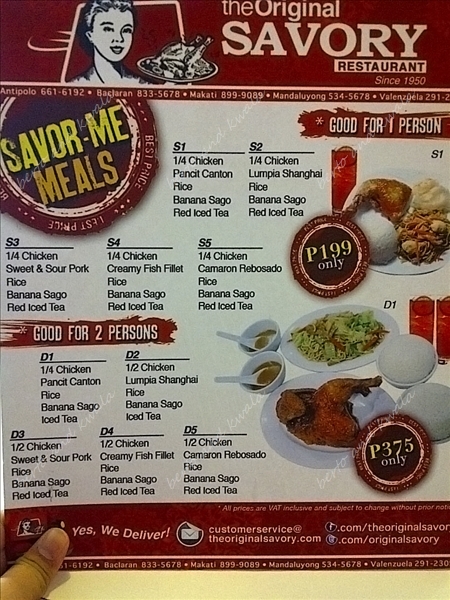 ), Camaron Rebosado, Rice, Banana Sago and Red Iced Tea, all good for two. Kwala: "I found the Camaron a bit dry. 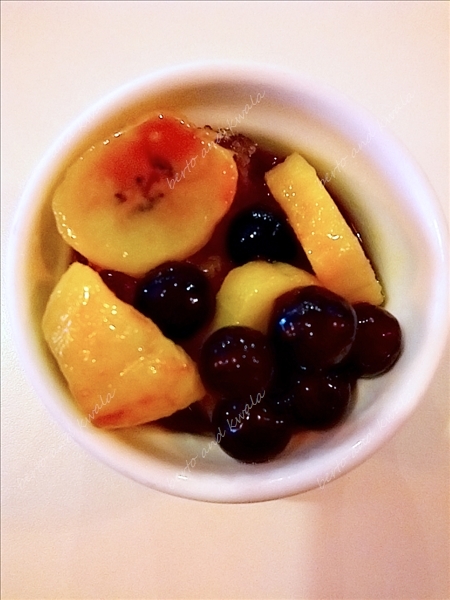 The dessert was nothing really special, just a small serving of saging con yelo in a cute container. 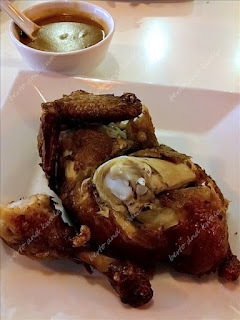 I loved the chicken and gravy though. " The Berto and Kwala verdict: The service was fast and the crew was courteous. We loved that they had the initiative to hold our desserts until after our meal, without us asking them to. The chicken and gravy was delicious. Serving size was acceptable, although we thought the meal wouldn't be enough to satisfy our hunger and yet we ended up burping all the way out the door. If ever you're within the vicinity, looking for a place to eat with co-workers or family, Berto and Kwala (that's us!) recommend you give this place a try.